If you’re a Salesforce user, chances are you use the platform to manage the bottom of your sales funnel. Your sales team probably uses it as their single source of truth for lead, contact, and account data. The sales team accesses it daily to triage, follow up on, and (hopefully) close business opportunities. 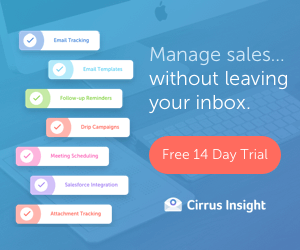 But your sales team only has so many hours in a day, so it’s in the company’s best interest to ensure that the leads and contacts being created in Salesforce are as qualified as possible. After all, not all leads are a good fit and not all leads are ready to buy the moment they enter your database. Sending unqualified leads over to sales is a waste of the sales team’s time—and yet 61% of B2B marketers send all leads directly to sales, despite the fact that only 27% of those leads will be qualified. So where do you look to fix this chink in your funnel? Bottom of funnel where you qualify leads as sales-ready and acquire them as customers. We already know that we’re using Salesforce to manage bottom of funnel interactions, so what about the top two sections? At the top of the funnel, common activities include search engine optimization, paid search, social media, and blogging—the goal of each tactic being to drive traffic to your website. Then at the mid-funnel stage, most marketers simply use their website to host content and lead capture forms. So for most companies the funnel looks something like A) drive traffic to the website; then B) capture leads with forms on the website; and finally C) pass leads to sales for qualification. But what if a lead isn’t ready to buy when they submit a form to download a whitepaper? Do you send them to sales for qualification, even though 73% of all B2B leads are not sales-ready? Of course not! They could be perfectly good leads—but they need to be engaged and nurtured before they make a purchase decision. Marketing automation is the middle man that allows marketers to track prospects as they convert from unknown visitor into known prospect through form submits, nurture them with email and content offers, qualify them as sales-ready using lead grading and scoring, and then finally hand them over to sales as marketing qualified leads. Marketing automation touches each stage of the funnel, and saves marketers time and effort by automating many of these touchpoints. Sales benefits because they receive more qualified leads from marketing, and, depending on how the marketing automation platform is integrated with Salesforce, sales may have greater insight into a lead or contact’s score & grade, prospect activity, marketing list membership, and social media data. Although Salesforce integrates with several different marketing automation solutions, if you’re using Salesforce as your CRM, then Pardot is your marketing automation platform of choice. Pardot is a Salesforce company, and as such is the only marketing automation solution that has a native integration with the CRM. And you can bet that the engineering teams on both sides will continue working to make that integration as tight as possible. The integration between Pardot and Salesforce happens via a connector, which can be enabled by first installing the Pardot app from the AppExchange in Salesforce, and then setting up and verifying the connector in Pardot. 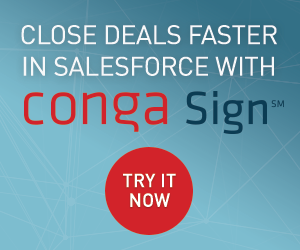 The Salesforce connector creates a link between the two platforms, so that you can sync newly created prospects, contacts, and leads between Pardot and Salesforce. 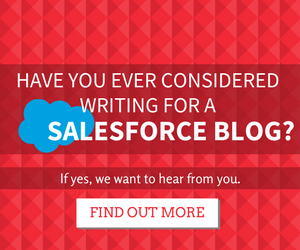 Once the connector is enabled, Pardot queries Salesforce every 2-4 minutes looking for records that have been updated since the last sync. Since Pardot uses email address as the unique identifier for prospect records, a Salesforce lead or contact record won’t be able to sync with Pardot if it’s missing an email address—that record will simply get skipped over. Pardot queries contact records first, and if a match is found (remember, it’s looking at email addresses) Pardot syncs with it. If no match is found, Pardot queries lead records next. If a match is found with a lead record, Pardot will sync with it; but if a match isn’t found and the prospect has been assigned to sales, Pardot will create a new lead record in Salesforce. By default, a Salesforce record will override the Pardot record if there is a conflict of information. What type of information syncs between the records? That depends on what fields you’ve mapped between the two platforms during the connector setup. Salesforce will automatically pull in all Pardot default fields during setup, but if you want custom Pardot fields to sync over, you’ll need to create those as custom fields in Salesforce and map them. Once you’ve created and mapped your fields, all that’s left is to customize your lead and contact pages so that sales reps only see data that’s relevant to them. Other Pardot data like prospect activity and list membership are iframed into Salesforce lead and contact records, so that sales can see how a lead has been interacting with the website, or what emails they’ve been receiving. When setting up the connector, you’re able to even further customize the way in which the two platforms interact by modifying the optional connector settings. For example, you have the ability to enable the connector to automatically create a prospect in Pardot if they are created in Salesforce—taking the bi-directionally data sync a step further. Gone are the days of outdated record information, or having to manually update records by periodically exporting prospect date and importing it into the CRM. With the connector enabled, marketing and sales will always have access to the latest, most accurate data. However, some of the biggest benefits marketers see with the connector enabled are within Pardot itself. When the connector is turned on, marketers can assign prospects to Salesforce campaigns directly from within Pardot—which allows for multi-touch attribution and reporting on marketing tactics within a single interface. Marketers also have the ability to assign leads to sales and set tasks for them to follow up in Salesforce, again all from within Pardot. The following infographic gives an example of how Pardot and Salesforce can work together to create an integrated sales and marketing pipeline In this example buyer journey, Tom’s activities and preferences are scored and tracked in Pardot. By using automation rules, Tom is only created as a lead in Salesforce once he’s performed an action that marketing deems to be sales-ready. And because of the tight integration between the two platforms through the connector, Jim, the salesperson, is able to view all the marketing data collected on Tom in the Salesforce lead record before he calls him up. Using technology, we have the opportunity to bring marketing and sales closer together to drive greater business ROI through an optimized funnel. With Pardot, marketing can ensure that they are in control of the quality of leads being passed to sales, and sales can leverage marketing sourced data and campaign assets to close more business. Caitlin is a Salesforce Certified Pardot Consultant and Specialist. She develops and executes lead generation strategy as the marketing manager at Powered by Search, Canada’s top inbound marketing agency. Hey there! Thanks for the post. Informative and helpful. Maybe Pardot queries Contacts first when the option for Pardot to only create Contacts is not enabled? Doubtful but possible. Thanks for posting this. It’s useful. As always whenever I visit here there is something new and it’s worth reading !!!! Do you know if Pardot interacts with the Salesforce Contact Relationship junction object to associate one contact to multiple accounts? We would like to remove duplicate contact records, and instead have one contact record ‘related’ to multiple accounts (and roles for each related junction record). But we need this information to be available in the Marketing Automation software. Any ideas?